Rolls-Royce Silver Shadow: Jimmy Savile or Savile Row? Jimmy Savile famously owned one. But then so did Freddie Mercury, Marvin Gaye and Johnny Cash. Wedding car companies love them but then Keith Moon redeems their image by having driven one into a swimming pool, which is easily the coolest thing that anyone has ever done with any car at any time. Period. West Yorkshire carpet warehouse magnets love gold-plating bits of them, but then John Entwistle commissioned a Silver Shadow shooting brake. Ashley and Cheryl Cole posed in front of a white convertible complete with dry ice, but then so did Frank Sinatra. Which probably makes the Rolls-Royce Silver Shadow the most Jekyll and Hyde car ever built. And one that, let’s face it, we’ve all considered buying, generally fuelled by one of those generic a Buy-a-Rolls-Royce-for-Ford-Mondeo-Money articles in a classic car magazine that suddenly found itself with two spare pages and only two hours with which to fill it. 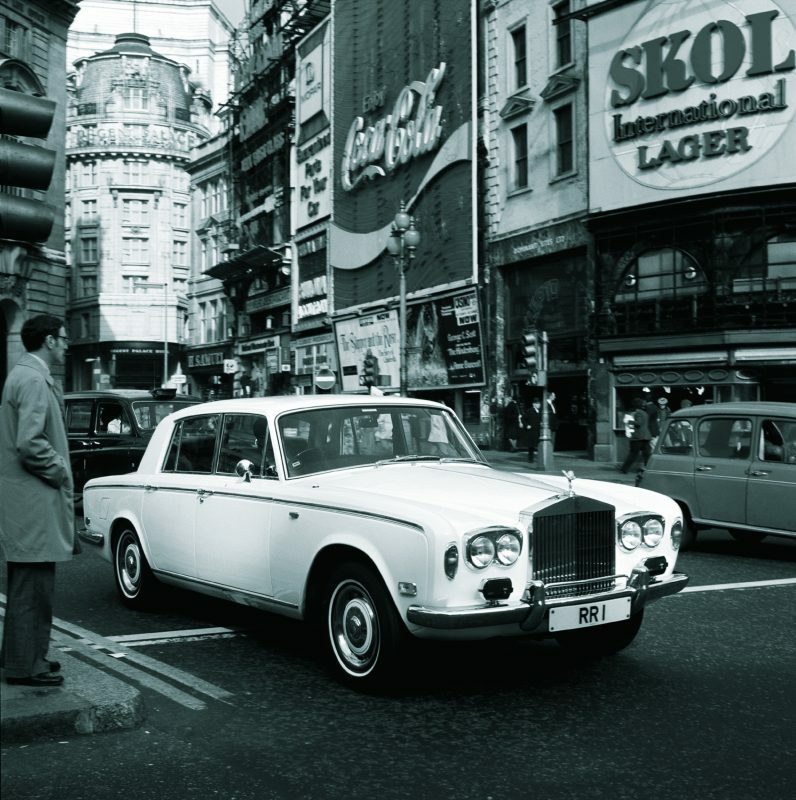 Born in 1965 the Rolls-Royce Silver Shadow started life as a conventional, albeit expensive, four-door saloon car. But the lure of all that filthy lucre sitting in Swiss bank accounts, itching to be spent on something unnecessary and ever-so-slightly vulgar, proved too strong to resist and the range rapidly expanded. It eventually included a two-door coupe, a two-door convertible, a long-wheelbase limousine, a coachbuilt coupe and shooting brake, and even a one-off stretch limo for a shady quasi-religious leader. The Silver Shadow also featured disc brakes and an independent rear axle, bringing this most staid of firms firmly into the mid-20th century, but the emphasis was still firmly on simple engineering executed exquisitely. So, while the hand-assembled V8 engine might have summoned just 172bhp from its 6.2 litres (later increased to 189bhp and 6.7 litres) it did so in almost complete silence and with an uncanny absence of NVH – and it would continue to do so for half-a-million miles or more with only rudimentary servicing. Yet, innovation could be found, if you knew where to look. The hydropneumatic self-levelling suspension – used under licence from Citroen – endowed the car with a ride to match that big engine’s civility. Initially offered on both the front and the rear suspension, the self-levelling element was quickly restricted to just the back of the car as that was the only bit that really needed it. Nineteen seventy-two saw the engine capacity increased by 500cc and 17bhp, while the chassis gained fatter rubber, flared wheelarches and revised suspension two years later. 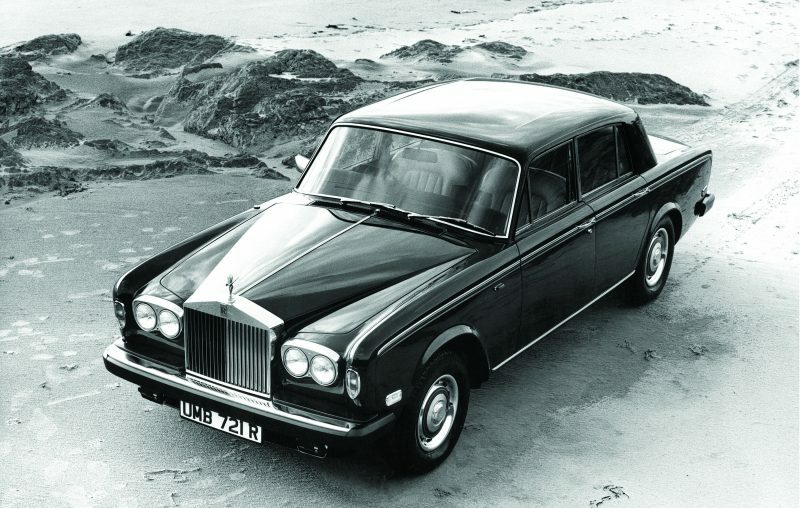 As a result, the Silver Shadow now went and handled more like a car than a Thames’ barge. 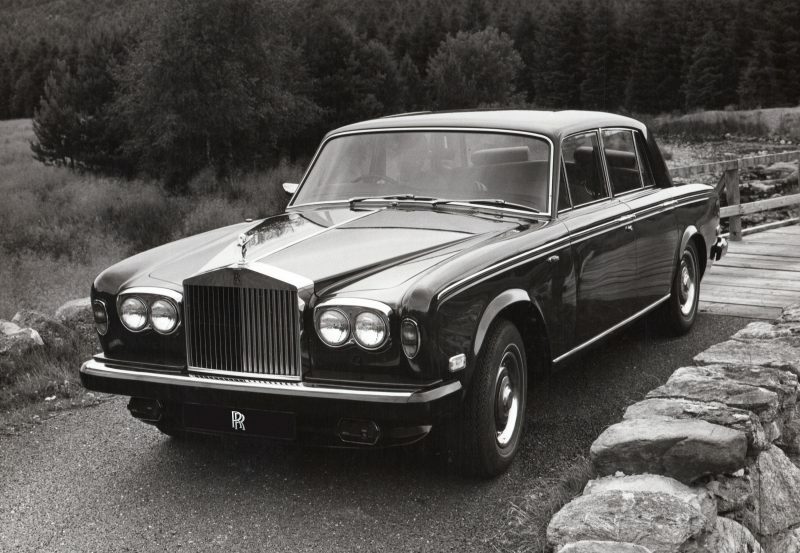 The Silver Shadow II made a suitably stately arrival in 1979, being the subject of only a gentle refresh including rack-and-pinion steering, alloy and rubber impact-resistant bumpers, and a modest front spoiler, or ‘skirt’ as Rolls-Royce preferred it to be known. The old girl died in an old folks’ home in 1980, riddled with cancer and suffering from early-onset dementia. Still, she’d had a good innings, shifting just over 25,000 units in her fifteen years. The aristocracy must be a long-limbed bunch because a long-wheelbase version offering four inches more in the back (oh er missus…) came along in 1970, following trials involving ten prototypes that dated back as far as 1967, including one of which that was driven by Princess Margaret. 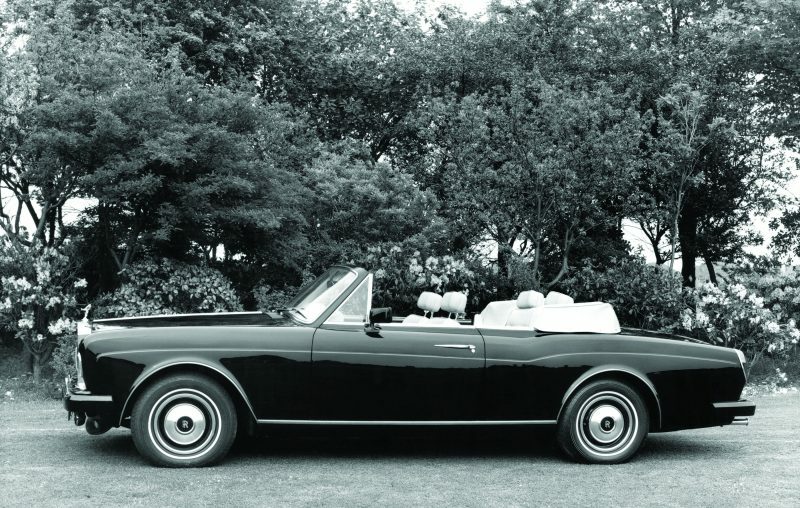 A sleeker two-door variant was developed in 1966, followed by a convertible a year later. Neither was built by Rolls-Royce itself, with Rolls-Royce subsidiary Mulliner Park Ward and independent coachbuilder James Young being chosen to build them on its behalf. Of the two, the James Young cars are by far the rarest with only 35 RR (and 15 Bentley) cars being built. 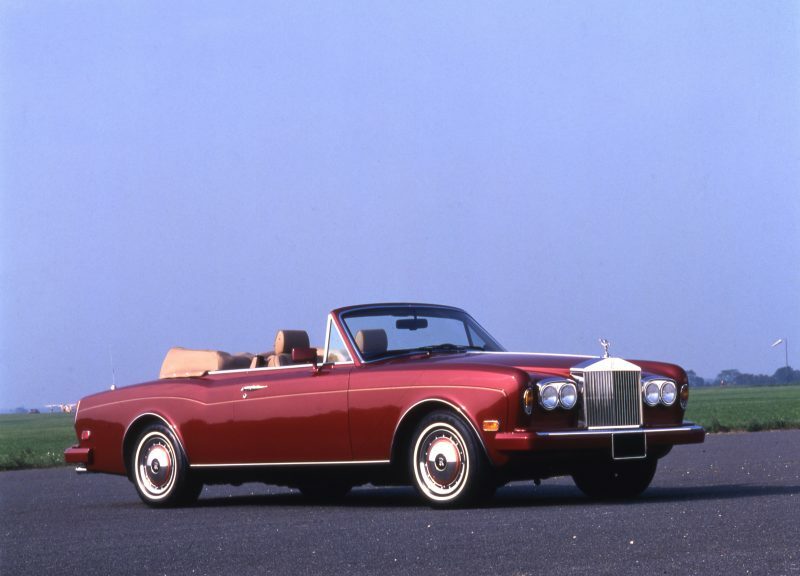 The convertible Rolls Royce was initially marketed as the Silver Shadow Drophead Coupe, but was later renamed, along with the coupe, as the Corniche. The Silver Shadow also formed the basis for what was then the world’s most expensive (and one of the ugliest) cars, the Carmargue. With bodywork designed by Pininfarina and built by Mulliner Park Ward, it remained in production for eleven years, finally expiring in 1986 after selling just 531 examples. 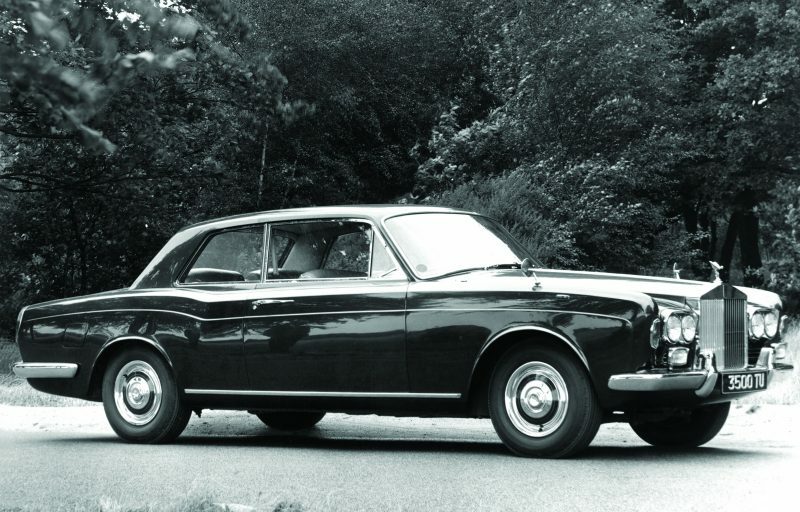 Badge engineering was a big thing in the 1960s and 70s, so it was inevitable that the Rolls-Royce Silver Shadow would be marketed as a Bentley too. 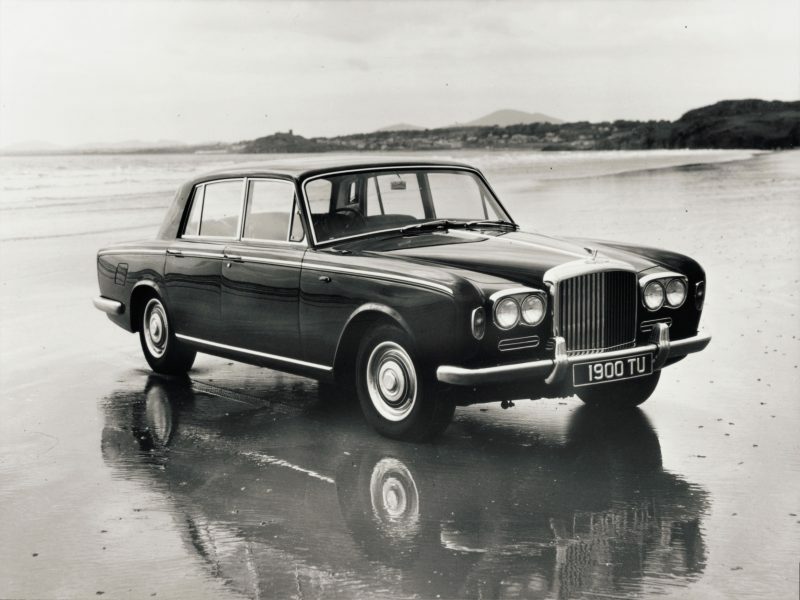 The Bentley T1 and T2 were sold to the public as a sportier, more accessible car than the Silver Shadow, aimed at rogues and bounders rather than captains of industry and the nobility. 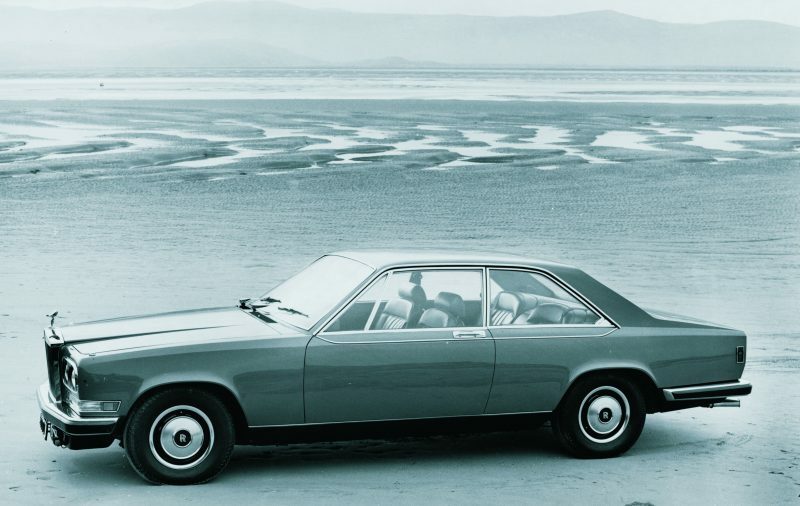 Available in both standard and long-wheelbase form, fewer than 2,000 were built in total. The Silver Shadow might not be the pinnacle of pin-sharp handling and scorched pants gusto but there is fun to be had, nonetheless. Wafting is where the Shadow’s strengths lie, and that self-same wafting needn’t be at a snail’s pace either; she might take some provoking but the old girl can run with the best of them when she’s fired up. Similarly, that Citroen hydropneumatic suspension is biased towards comfort rather than handling but if you can find it within yourself to pause a beat to let the suspension settle, levels of grip are actually quite high. The Shadow was a big car, back in the day, but a kerb weight of just over two tonnes is positively svelte these days, so the handling isn’t as ponderous as you might think. The braking should be firm and powerful too, even if the brake pedal itself takes some getting used to. As will the superlight steering, which is devoid of almost all feedback. The period engineering does make itself known in the details; the wipers might be operated by a beautifully fashioned knob, but they’re barely adequate in gentle rain and hopelessly inadequate in anything heavier. Ditto the headlights. And heating. 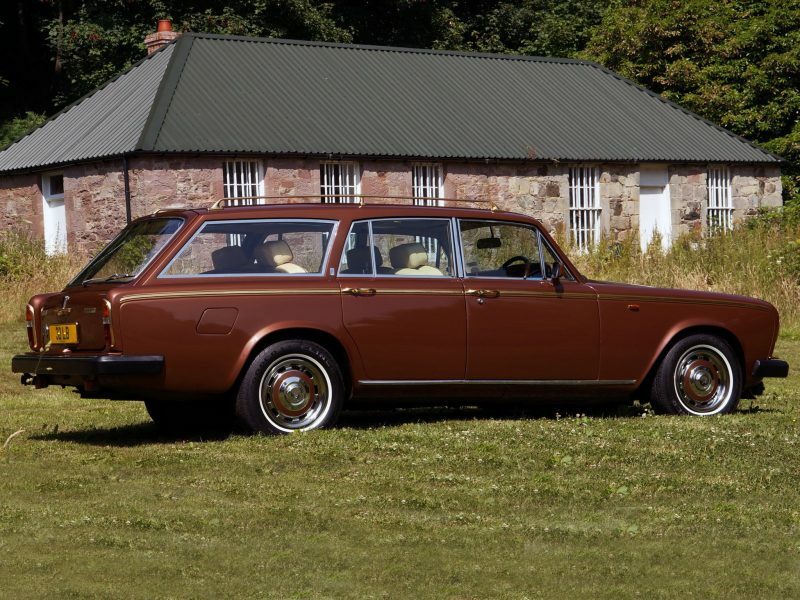 Yet the Rolls-Royce Silver Shadow endows even the shortest of journeys with a real sense of occasion, which might sound like a sycophantic motoring hack’s cliché but is utterly accurate. You’d probably hate to have to run one as an everyday hack but as a high-days-and-holidays treat, few cars can match it as classic transport. The biggest problem you’ll face is finding one that isn’t rotten. Or wasn’t rotten and has been bodged back into life. There are dozens of out-of-the-way places where serious rust can take hold and the problem is compounded because of the hand built nature of the cars; replacement panels are available but fettling them into something even broadly resembling a decent fit will challenge anyone short of a Rolls-Royce trained coachbuilder. The other key area is the interior. Rips, scuffs and tears will be prohibitively expensive to put right, so avoiding having to do so in the first place is by far your best strategy. The overwhelming majority of cars will feature leather seats, but a few were built with Parkertex cloth as an alternative. My guess is that you’ll never see one as most will have been ‘updated’ to cow hide seats years ago, but I’d be sorely tempted if I did find one, simply for the novelty value if nothing else. If the carpet in the footwells is wet, it’s probably nothing more serious than a leaking windscreen seal although, of course, if it’s been like that for a while the front floor pan might have started to rot. Finally, the mechanical bits are the least of your worries. The Silver Shadow and its brethren are simple cars and not terribly challenging to work on if you take your time and think it through. The suspensions will scare you but, again, it’s more straightforward than it looks and if you remain unconvinced then there are hundreds of Citroen experts out there that can put it right at a fraction of the price a Rolls-Royce expert would charge. Colour is crucial: white cars are cheap because everyone will think you are running a classic wedding car hire company; brown cars are similarly under-valued, which is a shame because, to my mind at least, if you’re running a period car then you might as well drive one in a period colour but there is no denying that a silver or muted metallic lends the shape the sort of timeless elegance that is worth money in the bank when the time comes to shift it on. Of course, the sensible thing to do is to buy from an enthusiast. The Rolls-Royce Owners’ Club and the Rolls-Royce Enthusiasts’ Club are the ones to join, and they’re packed full of lovely chaps and chapesses that will be delighted to help you find the car of your dreams. 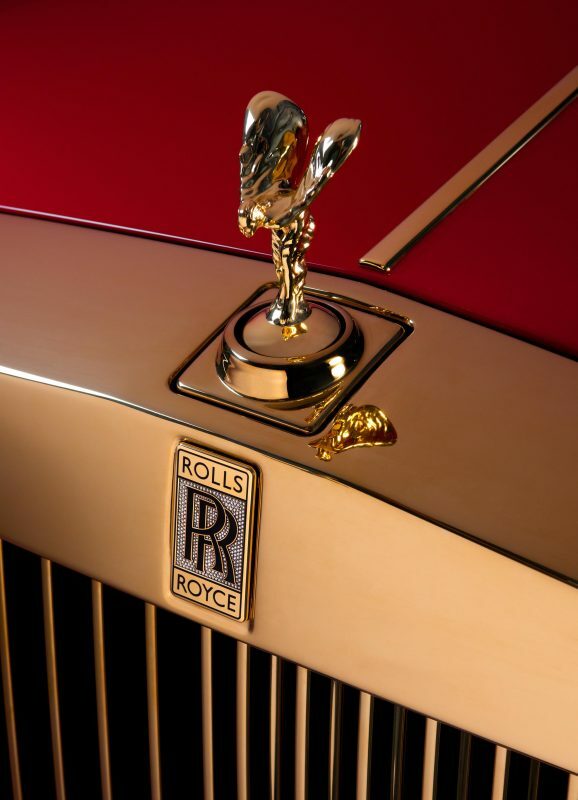 That the Royce can be bought for well under five figures is well known. That you should probably spend low five figures is less well known, but you should; few cars of this age conceal their woes as capably as the Silver Shadow. That monocoque body was designed with everything other than rust resistance in mind, and a can of P38 and the deft wielding of a spray can can disguise even the most rotten car. If you can afford it, splurging £15,000 on a good ‘un is likely to be more than three times as satisfying as gambling £5,000 on a basket case. Buying from a dealer makes sense if you get a decent warranty but if not you might as well buy privately and set aside the few thousand pounds you’ll save into a bank or building society account against the inevitable repair bills. While the dream model is probably a late MkI, which will have the older, pre-legislation bumpers, flared wheelarches and the larger and more powerful 6.7-litre engine, I wouldn’t get too hung up on it because buying on condition rather than age or mileage is the smart thing to do. But buying your Silver Shadow is just the down payment. Fuel consumption is ruinously heavy, and servicing is unlikely to be on a par with a commonplace Ford. And yet, as depreciation is where the real cost of car ownership lies, buying a top-notch example of Crewe’s finest should (‘should’, not ‘will’) guarantee that you get your initial outlay back in full when the time comes to sell. But you might need to get a bit of a move on as prices are already starting to move upwards. The first stop for anyone wanting to upgrade their newly purchased Silver Shadow should be to put some decent rubber on the wheels. Few previous owners will have gone to the expense of doing so and putting something like an Avon-patterned tyre, or even an asymmetric Michelin pattern, from Longstone Tyres will improve both the handling and ride. Stage two should be re-bushing the suspension and steering systems, which will be long-winded and expensive but is probably essential unless it’s been done in the past decade or so. Finally, getting the brakes up to scratch could cost £3,000 or more depending on how neglected they are but you’re unlikely to regret doing it. Once you’ve got your pride and joy back to factory specification, your thoughts will inevitably turn to buying a Harvey-Bailey handling kit. Which would be an astute move as, aside from turning back forty years’ of wear and tear, nothing will transform your car’s handling so completely. You’ll even retain almost all of its legendary ride comfort too; the result is nothing less than startling, according to those that have fitted the complete kit. You could go down the turbocharging route too, but, as we’ve seen, God has beaten you to it by inventing the Bentley Mulsanne Turbo.